XRDS is a company the public may not know. This means we have done our job well and it was our plan all along. However for many years XRDS has been a primary source of creative content for many large companies around the world. 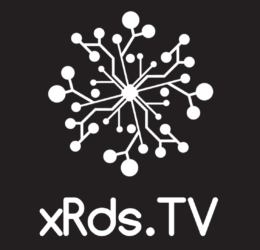 XRDS is an acronym for “crossroads” and having worked at the “crossroads” of civilization, east and west, Europe and Asia, we have been in the forefront of providing content for the largest advertising and marketing companies in the world. It may sound strange that we know we’ve done our work well when the integration of the services we provide are not visible to the consumer. You could also say what we do maybe thankless, however we pride ourselves in being a seamless part of the process that takes a product, a concept, or service to the world. When a company wants to unveil a product or service it has to look at all aspects of the release. The market, the demographic, and the release of the product and the company itself are all important. There are many ways for presenting the product to the world and XRDS is highly competent in providing these services. Services ranging from copywriting, speechwriting, technical writing, training manuals and courses, to voice-overs. localization, translation and many other aspects of a product or service release the company may or may not even understand exists. For example, we have integrated product descriptions to speeches that are made by management of the release of the new products tying in social media, press releases, and signage at the unveiling event. Another example is not only did we provide user manuals for a global white goods manufacturer, we also provided advertising copy for those white goods based on our knowledge of the user manuals all in concert for the release of a new product lines at a major trade fair. Typically this integration is overlooked or is sometimes left to different departments in the organization. It may work however they may not see it as an outside party thus XRDS is here to ensure every angle is seen and addressed. What we do, we do it well and we hope that our global team of experts can also work with you to present your products, your ideas, your services, in a way that will be seen by the world in a lucrative and prosperous way. Remember, we pride ourselves in privacy and confidentiality and it is your success we thrive on! Please click here to reach the contact page for further information.